Learning how to play ukulele is quite challenging. Moreover, turning a string into music and melodies seems like another daunting task. It looks so easy when others play an instrument. However, your fairytale world where you excel at everything crumbles when you try once. Learning the ukulele might place you in these situations. However, learning the ukulele is certainly easier than learning the guitar. Because it has fewer strings and a smaller size. However, if you keep some of the basics in mind, then you can learn to play ukulele much faster. After all, it’s humans who play it and you are no different. If you want to learn ukulele, at first you have to select a perfect ukulele because there are different size ukuleles. As a starter, you have to find out a ukulele which is the best ukulele for beginner. 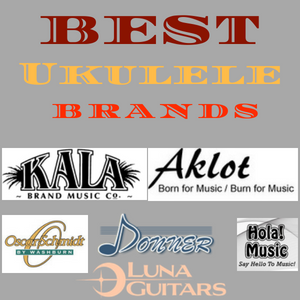 There are four size ukuleles of different brands. A soprano ukulele is very popular for its small size and classic sound. It is the cheapest type of ukulele and is often liked by beginners. Its average size is 21 inches. 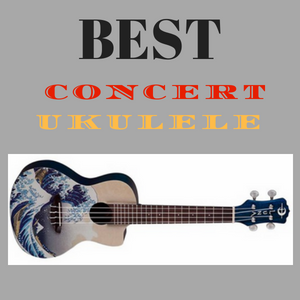 A concert ukulele is larger than a soprano ukulele. It is on average 23 inches long. The people who have large hands feel it comfortable to play than a soprano ukulele. The next is the tenor ukulele. 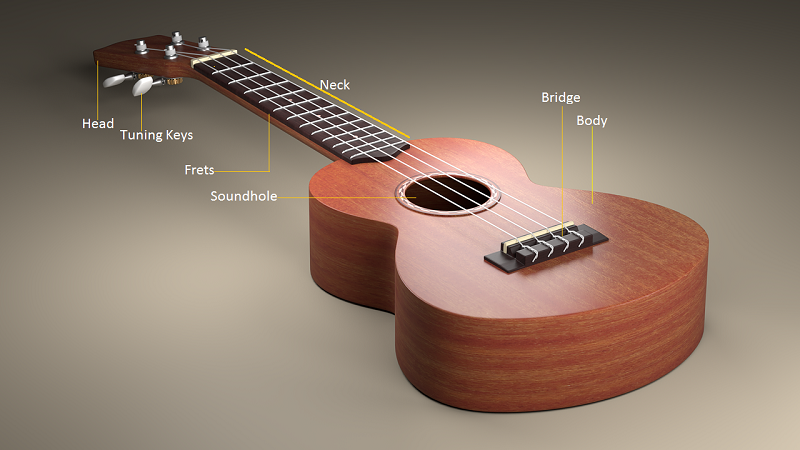 The tenor ukulele is 26 inches long. Its sound is richer than the soprano and concert ukuleles. 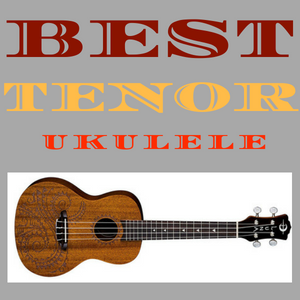 Most of the professional and well-known ukulele players like the tenor ukulele. 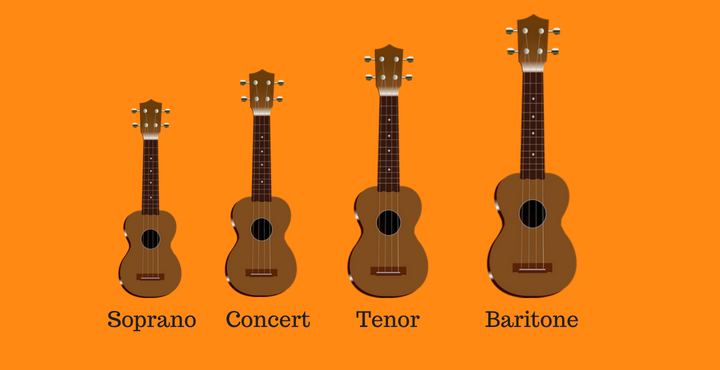 The baritone ukulele is the largest ukulele. It measures 30” long. It’s tuned like a guitar, which makes a baritone ukulele and a guitar are very similar. Because of its size, it drops classic ukulele sounds but is a nice choice if you want to play rich music. Where would you put your hands when you are asked to put on one if you do not know the parts? So, yes, you have to know the parts. The head is basically where you will see the tuners at the end of the strings. Whereas the neck is where the frets are. Basically, frets are those partitions where you have to place your finger on the strings for chords. Lastly, the body is where you strum/pick and where the saddle, bridge and the hole is. No matter how well you play, your ukulele will sound like a crying monkey if you don’t tune it. You probably do not know how to tune. Basically the more you tighten the string, the higher the note will go and vice versa. However, you can use a digital tuning device which will notify when you tune your ukulele to perfection. Or, you can always watch ukulele tutorials from YouTube. It’s not only the ukulele that matters, your fingernails do too. Keep them short for a comfortable and efficient learning session. You have to keep your left hand on the neck and right on the body if you are right-handed. But, do it the other way around if you are left-handed. You will either need a strap to hold your ukulele while standing or you have to hold it under your forearm. At first, you have to learn how to play ukulele chords because the chords basically tell you where to place your fingers or press them. There are diagrams that tell you what to do, learn them. Apparently, you need to know the chords to play anything of melody on your ukulele so learn and practice them as your first lesson. Strumming is the up and down movement you do with the strings of the body. Various chords and melodies require various combinations of these up and down movements. You will find it difficult to get used to new strumming patterns. Therefore, practice more and at slower paces to get your hands ready. Whatever chord you are playing will be meaningless without the perfect timing of each strum. Therefore, learn to keep in rhythm. You can even count loud to be in rhythm or use a metronome to help you. Endless chord practice can get really monotonous and drive you off the road to a ukulele player. 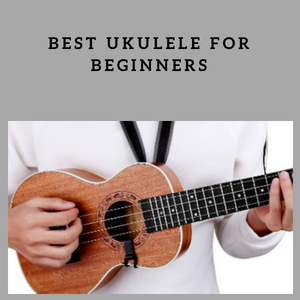 Therefore, you can easily learn how to play ukulele song and sing it to be certain that you are going somewhere amidst all the chord practice. Music is to soothe the soul, not stress it. Do something that you find easy when it gets too difficult. Do not push yourself too hard that you stop learning it. However, do not run from it either. Just take it slow and easy. Being able to play the ukulele is not a birthright. Therefore, only practice can help you. The more you practice, the faster you will learn and the better you will get. So, these beginner-level guides should help you get started and let you know how to play ukulele. Have a good time!